For the first time, we are offering specific bundle deals. We want to share our research and offer specific kits for both displays and re-enacting impressionists that will specifically enhance their impression, while adhering to actual “issue” standards certain operations. 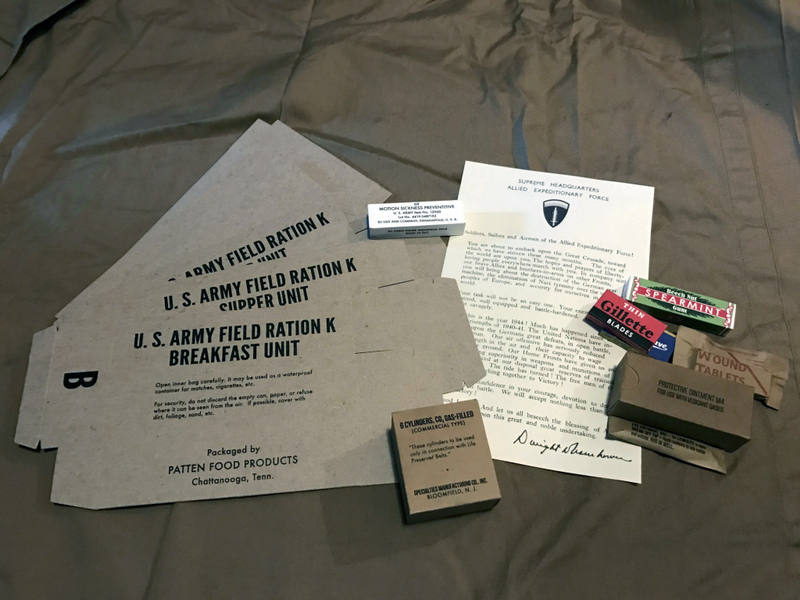 For the first time, you can, in one-stop, get an entire kit of personal goods that you can literally drop into your pockets and/or pack, and enhance your overall interpretation. 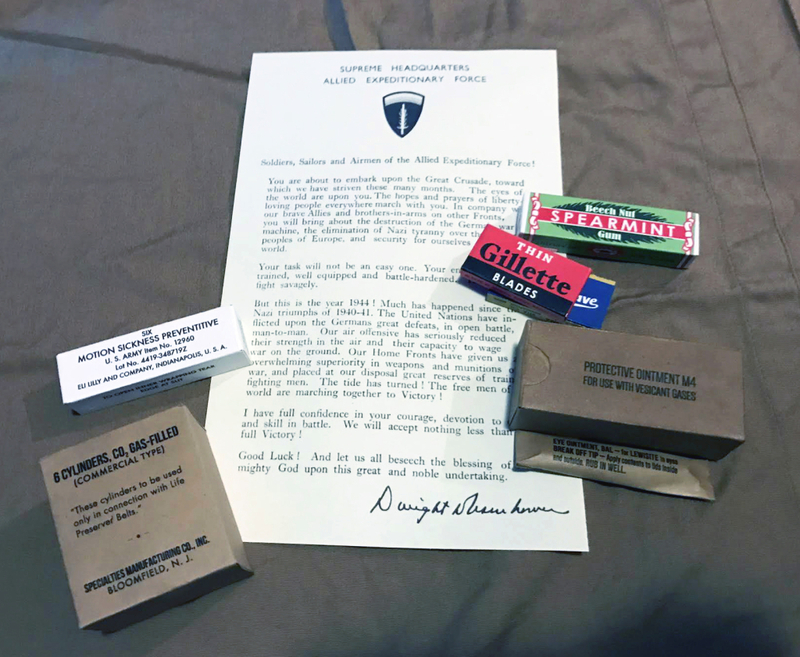 Referencing the Operation Overlord Alert Order, this kit features the completed products shown above to drop into your kit and enhance your personal impression. All items included have been researched and adhere to the real Overlord Alert Order.